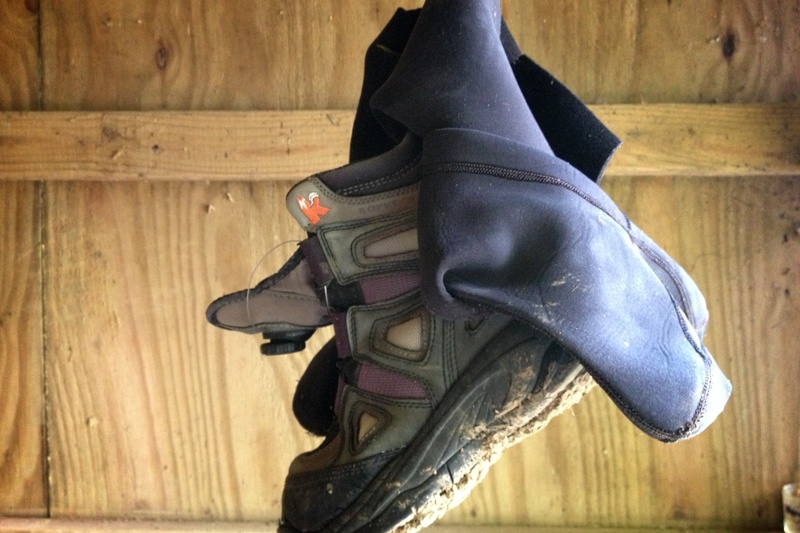 I’ve been keeping these wading boots down at the river, hanging up to dry in the shelter that sits on the bank. That way I can make the trek down there in hiking or work boots and have dry feet for the trip back up. This morning I went down to get some fishing in and was startled (um, okay, it scared the crap out of me) when I reached for my boots and a wren flew out of one of them right into my face. Once my heart rate slowed to double digits, I knew what the situation was without even looking. Yep. 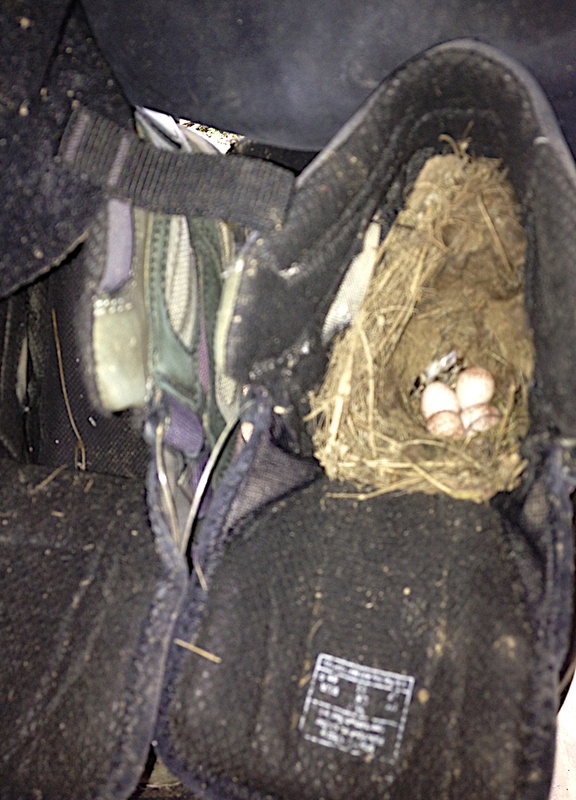 She had taken up residence in my Korker wading boot. So it looks like I won’t be using these boots for a while. Quite alright. 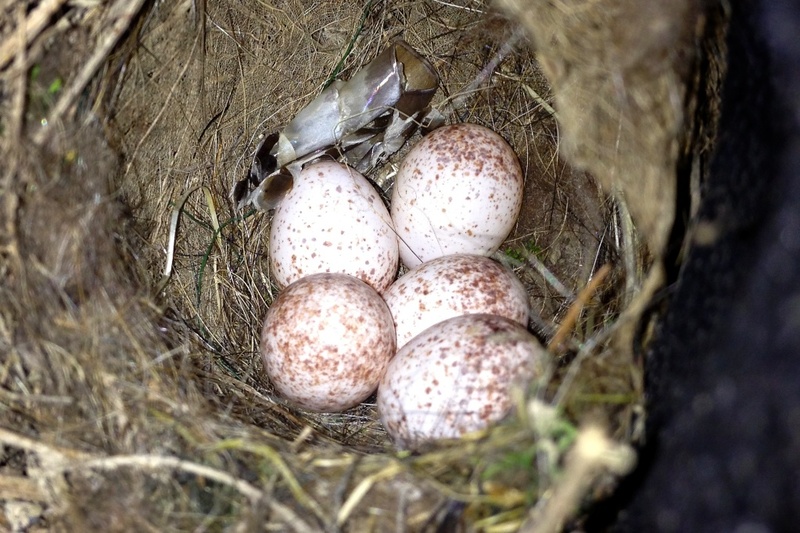 I love wrens, and am delighted to know this clutch is getting its start in something I provided, intended or not.